I have mixed feelings of how well this book reads. At times, I was greatly impressed with Brian Edwards' way of connecting to his readers; while at others, it was a little hard for me to see his logic.The seeming inconsistency in his style aside, overall I really enjoyed this book. He speaks on the authority of Scripture and the importance of its self-attested authority. He speaks of the history of Scripture and how we can know what books and why only those books are in our Scriptures, and why they should be. He takes some time tracing the history of the English Bible, which was interesting. And then he does a terrific job of showing how even for an unbeliever, the Bible has stood the most strenuous tests of scrutiny in the scholarly world and has still come up "winning"!My least favorite chapter was his attempt at setting down the rules of hermeneutics (the art and science of interpreting Scripture). While it had a few helpful ideas, for the most part it did not do true justice to the practice of hermeneutics.However, his study on history, archeology, and supposed contradictions all following that chapter were probably the best chapters in the entire book. And I would keep the book for those chapters alone.Definitely written with the layman in mind, this work is very commendable to an audience who wants (and needs) to understand the important concepts of the inspiration, authority, history, and infallible nature of Scripture.For a more scholar level approach I recommend Rene Pache's 'The Inspiration and Authority of Scripture' as well as 'A General Introduction to the Bible' by Norman Geisler and William Nix. But if you're looking for a layman's guide to the same subject, this book is a terrific way to go! How can we reconcile the discrepancies in the time line of Jesus' actions in the different gospels? Can we claim the Bible is that accurate since its earliest books weren't written down for a long time? Who's allowed to write a book for the Bible? Should we really include something like Revelation, the apocrypha or the other 'gospels'?There are loads of questions like this which are normally out of my reach in normal conversations, like an after church chat or even a meet-a-minister session, because they require a more careful examination.The early chapters of this book were annoying because he kept making assertions that he said he would go on to justify later, but latter chapters are filled with tackling many of these questions head on and not giving answers like "we just need to accept we'll never know".I was greatly encouraged that academically someone had really tackled these issues and put them in a way that I, a layman, could appreciate. 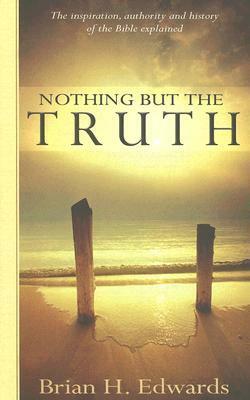 "Nothing But the Truth" examines how the Bible came to be and various ways we can know the Bible is accurate. This book was written in an easy-to-follow style and is well-researched. It provided in-depth answers on the various topics without getting exhaustive with the amount of information presented. If you're curious about these aspects of the Bible or want to learn how to respond to critics of the Bible, this would be a good book to read.